South Africa is world-famous for its golfing heritage. We have selected golf courses that will challenge every golfer, from amateur to professional. 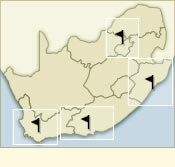 The unique South African climate allows a variety of landscapes, from coastal lush greenery to savanna and bushveld, with the opportunity to see buck and zebra on the course. Our wide variety of top class courses ensures that whatever time of the year you choose to join us, we would be able to ensure that the course, the surroundings and the quality of your experience will be unsurpassed. 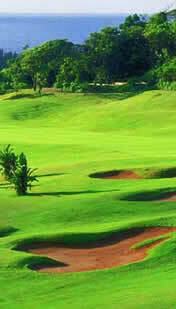 Allow Golf 'n Game to show you the best golfing holiday South Africa has to offer. Copyright © 2006 Golf 'n Game. All rights reserved.